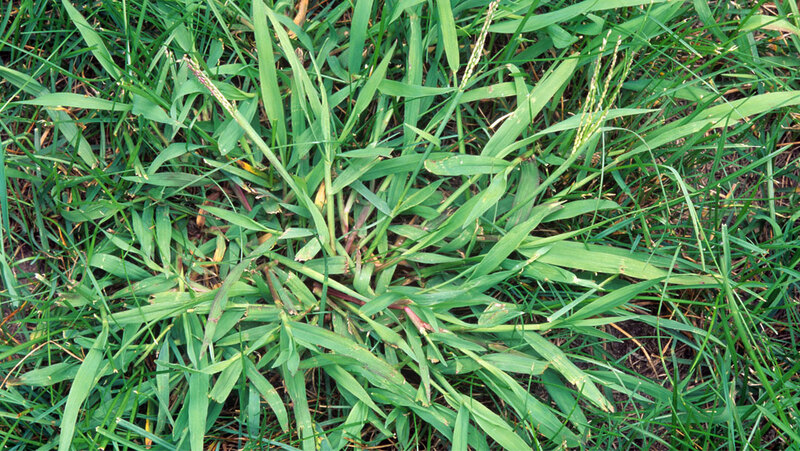 Crabgrass, sometimes confused with quackgrass, is an undesirable MN grass due to the weakness of the plant's structure, its coarse texture and unsightly color. These characteristics do not blend well into a fine-textured, dark green, Weed Man lawn. Control measures for annual and perennial weed grasses differ, and your Minneapolis, MN Weed Man professional will be glad to discuss these methods with you. Crabgrass can be reduced over a few seasons of special care by your Minneapolis, MN Weed Man professional resulting in a thick, dark green, crabgrass-free lawn that is well worth the patience and special care. When damage history is apparent, Weed Man Minneapolis, MN will preventively treat crabgrass in sunny, high-risk areas. Contact treatments are also available for isolated infestations of young crabgrass plants. Weed Man Minneapolis, MN guarantees the effectiveness of its products for correcting the imbalances caused by crabgrass invasion and treatment is applied only when and where needed by licensed, trained personnel, as part of our IPM based approach.